Your graceful Maine windjammer drops anchor offshore from an uninhabited island off the Maine coast. 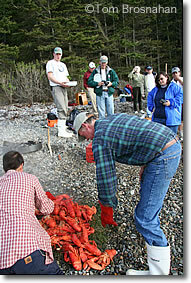 You row ashore, start a driftwood fire, and steam a few dozen lobsters and ears of corn. 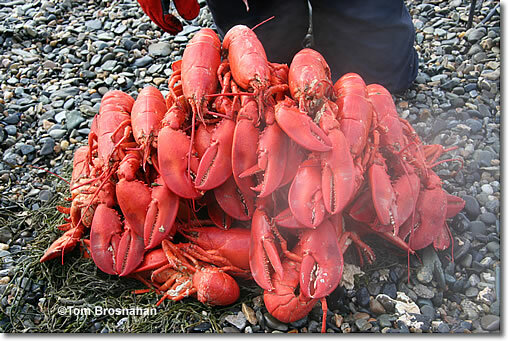 Appetizers, salad and Maine blueberry pie for dessert make the perfect Maine lobster dinner!